Nicholas During, a spokesperson for the magazine, confirmed Buruma’s departure on Wednesday but did not say if he resigned or was fired. 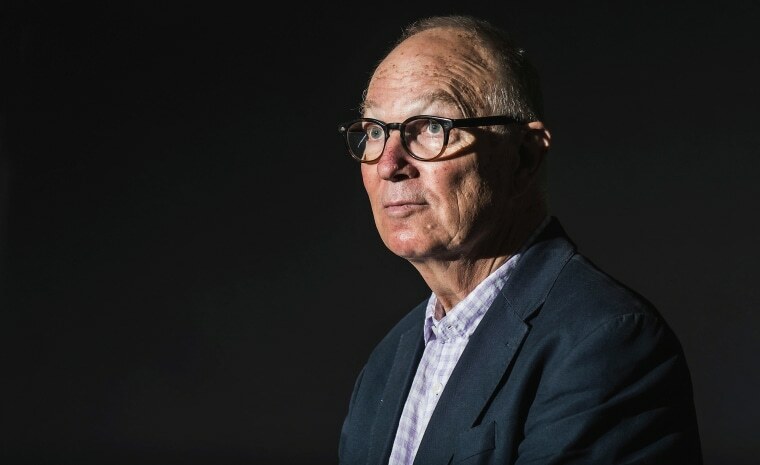 Ian Buruma is no longer the editor of the New York Review of Books, with his departure coming just days after the magazine published an essay online by former Canadian radio broadcaster Jian Ghomeshi that generated an outpouring of criticism. A spokesman for the magazine, Nicholas During, confirmed Buruma's departure on Wednesday but did not say if he resigned or was fired. Buruma did not respond to emails requesting comment. Buruma's Twitter account also appeared to have been deleted. On Friday, the NYRB published to its website a lengthy essay by Ghomeshi, who recounted his experience since being accused of and charged with multiple counts of sexual assault. Ghomeshi had been a high-profile radio host for the Canadian Broadcasting Company until he was fired in 2014 after three women accused him of sexual violence. Ghomeshi said all encounters with the women had been consensual. Ghomeshi was eventually accused by more than 20 women, who put forward allegations of being slapped, punched, bitten or choked. Ghomeshi was charged criminally and acquitted of four counts of sexual assault and one count of choking in March 2016. Another charge of sexual assault was withdrawn in May 2016 after Ghomeshi apologized to a former colleague. Shortly after the essay, titled "Reflections from a Hashtag," went up on the NYRB website, Buruma defended his decision in an interview with digital media publication Slate. "This seemed like a story that was worth hearing — not necessarily as a defense of what he may have done," he told Slate. "The reason I was interested in publishing it is precisely to help people think this sort of thing through," Buruma said in the interview. "I am not talking about people who broke the law. I am not talking about rapists. I am talking about people who behaved badly sexually, abusing their power in one way or another, and then the question is how should that be sanctioned." The essay quickly generated backlash online. "The New York Review of Books lets Jian Ghomeshi whitewash his past," wrote staff writer Jeet Heer in The New Republic. Memories surfacing of being at the NYRB, listening to excuses about why we didn't and couldn't publish more women. Not just excuses--indignant excuses. "Memories surfacing of being at the NYRB, listening to excuses about why we didn't and couldn't publish more women. Not just excuses--indignant excuses," tweeted Alexandra Schwartz, a staff writer at The New Yorker who previously worked at the NYRB. The criticism intensified following Buruma's Slate interview. "Wanna know how male abusers get their comebacks? By having sexist male editors feel bad for them!" tweeted author Jessica Valenti. "If, as Ian Buruma insists, the Ghomeshi case amounts to 'sexual behavior is a many-faceted business,' why didn't he run companion essays by the women who were punched, choked, or assaulted? Why is his intellectual curiosity confined to Ghomeshi?" tweeted writer Laila Lalami. "Reflections from a Hashtag" is scheduled to appear in the NYRB's Oct. 11 print issue, which will be published with the theme, "The Fall of Men."